As a primary school art teacher, the Illustrator Showcase has to be one of my favourite events at the SCBWI Conference. I can’t wait to tell my students about it and that being an illustrator for children’s books is a real job and can be something they can aspire to when they are older. The artwork is amazing! Illustrators have the amazing opportunity to get their work looked at and considered by a very impressive number of publishing professionals – including art directors, editors, publishers, agents and even a representative from a museum! 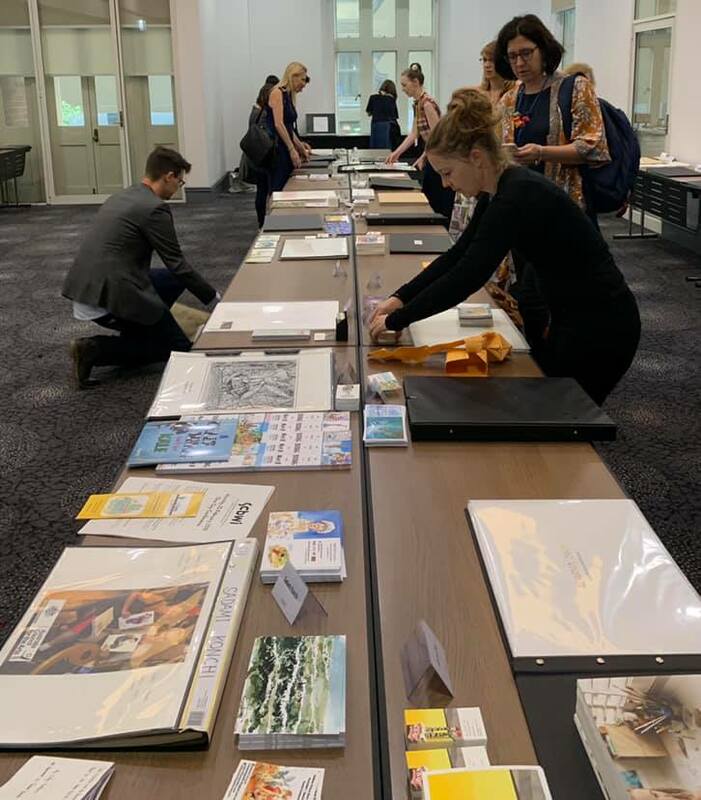 They walked up and down the tables to browse through the beautifully and professionally prepared portfolios, returning every now and then to a particular portfolio that may have grabbed their interest. What were the publishers looking for? Well, luckily, I can tell you that. Many mentioned they were on the lookout for good black and white drawings for junior fiction novels. So if you had black and white illustrations in your portfolio, well done, you are on the right track! 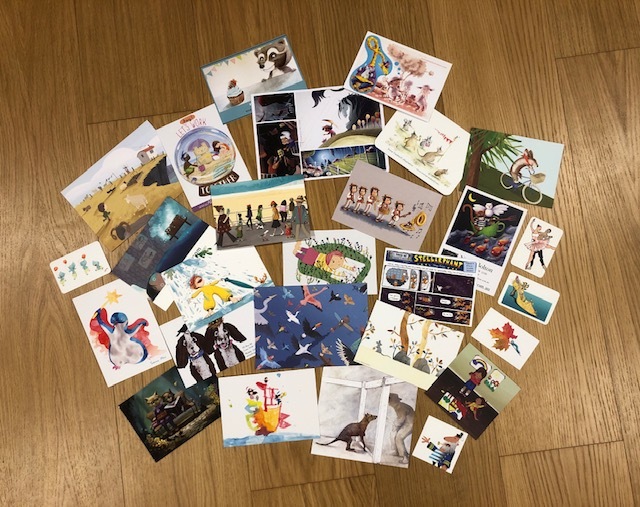 And all of this was accompanied by little piles of business cards or postcards, each covered in more illustrations for everyone to take away the ones that took their fancy.